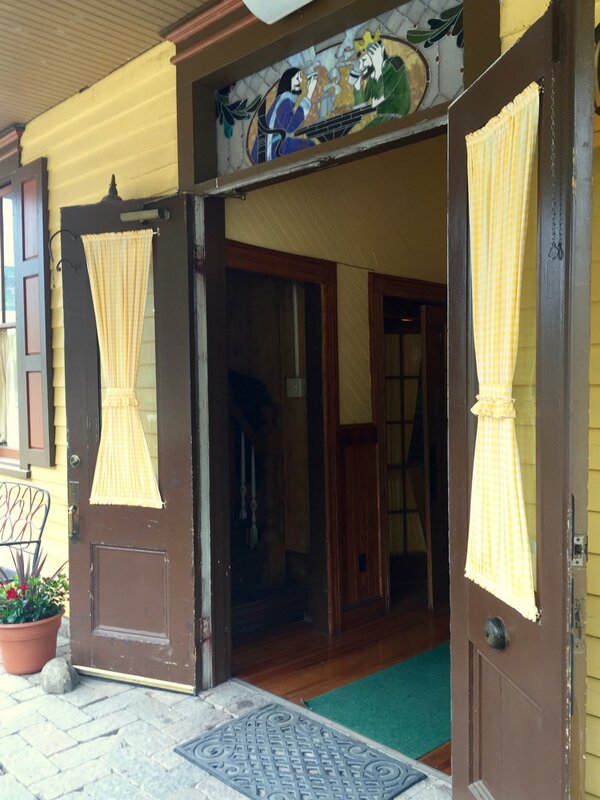 The Yellow Deli in Oak Hill is the most unique cafe in the Catskills. The huge, dimly-lit, wood-paneled space, complete with an enormous avian mural and tinkling new age music, feels like a secret tree-house. Here, the columns seem to be made from varnished saplings, the booths carved from gigantic tree trunks. The coffee is strong, the yerba mate is steamy and fragrant, and the simple food offerings, like hearty sandwiches on house-baked bread, are as soulful as the environs. I love the Spinwich ($6.75), a breakfast sandwich that combines buttery scrambled eggs with fresh spinach, hot peppers, Cheddar, Parmesan, and the Yellow Deli's own spicy sauce. My husband opts for the hefty Volkswich ($8.25), a pastrami sandwich dressed up with hot peppers, cheese, horseradish sauce, garlicky mayo and mustard. My kids go for the Hebrew National Hot Dogs ($5) and strawberry smoothies ($5), but show no appreciation for the Tutti Frutti ($2.75), an adorable little yogurt and fruit salad with berries and bananas diced into the tiniest pieces, so I order it for myself. 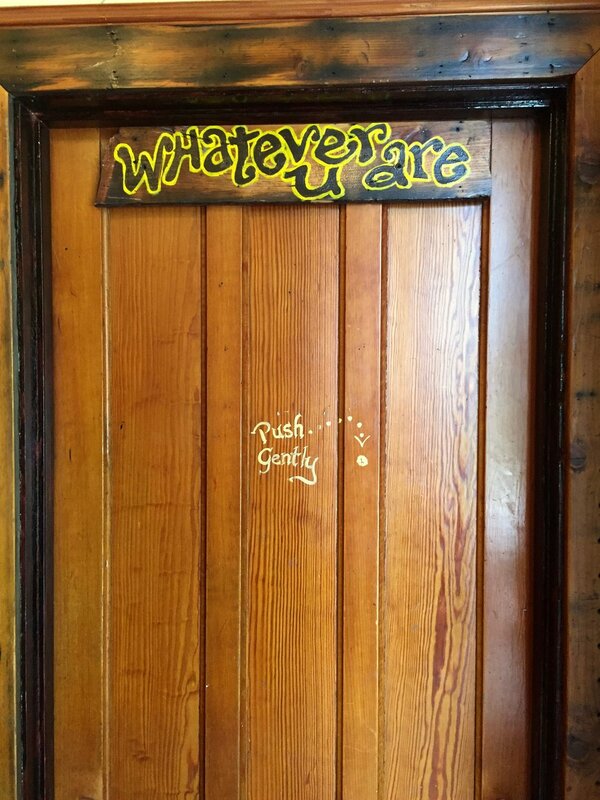 From the bright yellow flower that marks their little parking lot, to their wide-open yellow-curtained doors, to their unisex bathroom doors, the Yellow Deli shines with warm, welcoming vibes. That said, the cafe is operated by a somewhat controversial religious group called the Twelve Tribes of Israel, which runs twelve Yellow Delis in the United States, Canada, and Australia. I once picked up a newsprint booklet near the register that looked like a hippie music zine and turned out to be some pretty intense religious propaganda, but I've visited many times and no one at the restaurant has ever approached me with a spiritual message. Everyone there has been very kind to me and my family. And whatever your religious inclinations, the creek-view tables on the back patio make a fine place to reflect on the righteousness of nature and the virtues of the healthful food on your plate. 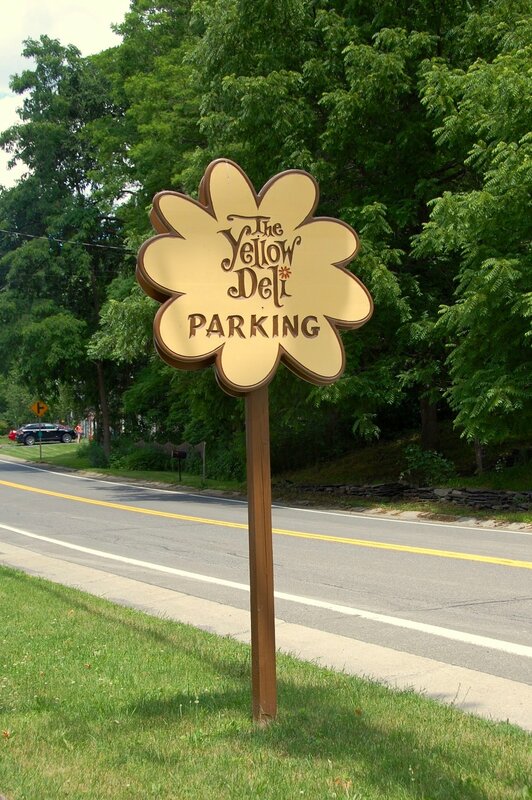 The Yellow Deli is located at 7771 State Route 81 in Oak Hill, New York; (518) 239-4240. The cafe has free WiFi and is CLOSED ON SATURDAYS but open Sunday through Thursday from 10am to 9pm and Friday from 10am to 3pm.